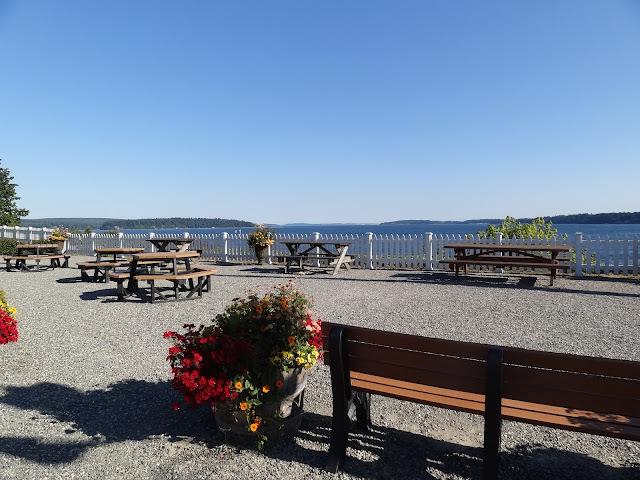 Last week when Mr, Squash and I were on the Washington Peninsula, we just had to stop in Port Gamble. It's a tiny little town on the mainland via the Edmonds/Kingston ferry, just before you get to the Hood Canal bridge. It was once a small mill town and is now on the Historic Register. Not only are there some wonderful little homes along the main road that have been preserved quite beautifully, there are a few shops to see as well. 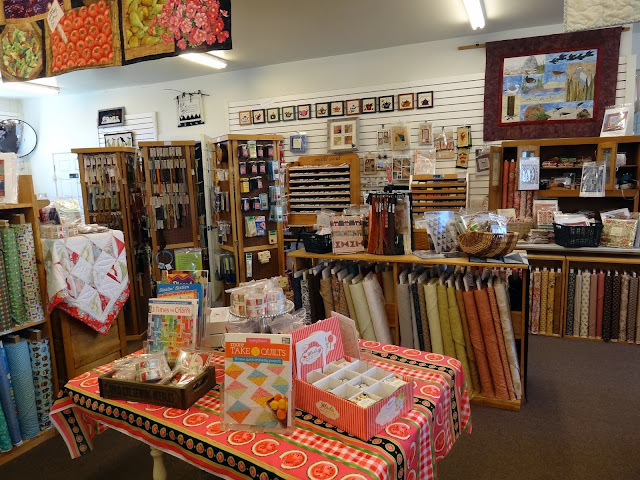 Recently a former neighbor of ours toured the town and told me the next time we went through I just had to see the quilt shop! Thanks, Shirley! This view is from the parking lot. Imagine having lived with this view in a mill town! 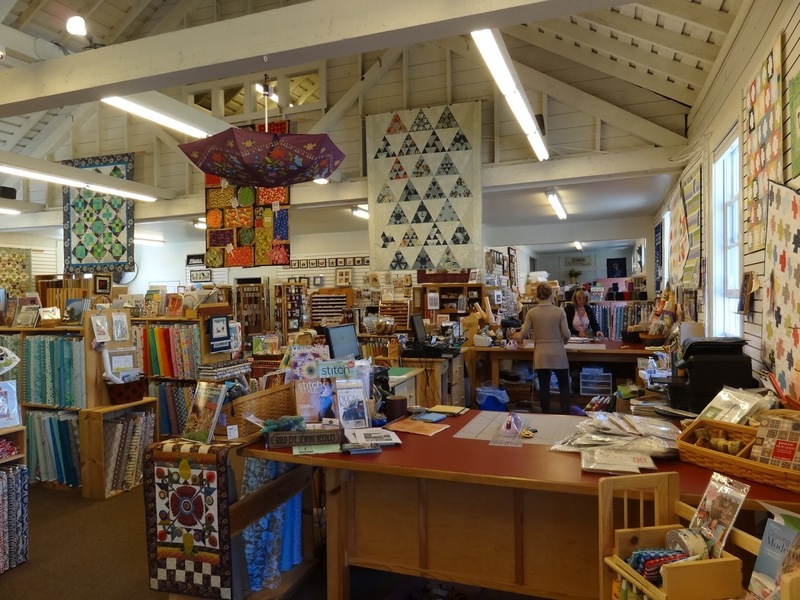 Here is the quilt shop. It's called The Quilted Strait - love the name! They are located in what was the Old Stables building. My heart skipped a beat when I saw the barn quilts! I must have one some day. Here is the view walking in the door. Something for everyone - including all my friends (you know who you are) who love polka dots! Believe me, there were a lot more bolts of dots scattered around. Wool! Be still my heart! 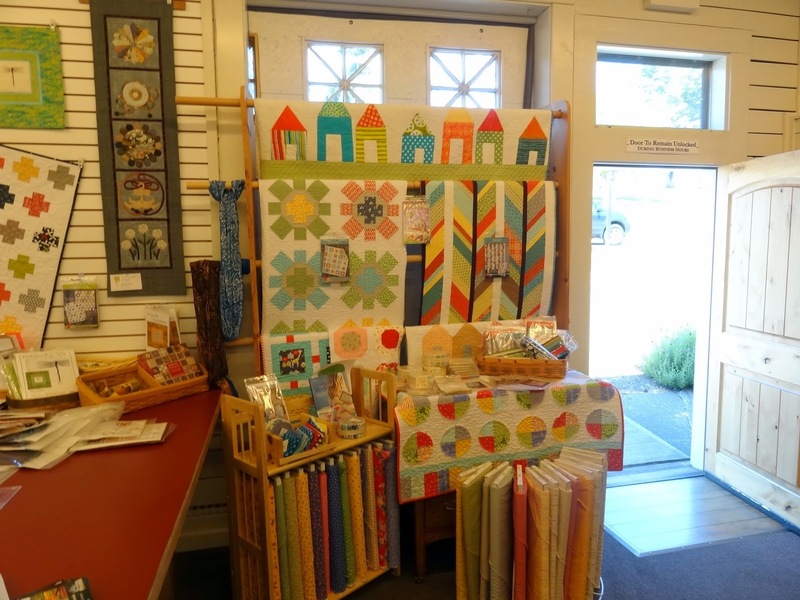 Lots of bright colors and fun quilts displayed. A parting shot looking past the cutting tables. Just in case you're wondering, I did help out the local economy here! If you've been wondering how Gracie May is doing - have a look! She's made herself at home. We all couldn't be happier! I think all is well at the Squash House with the 4 and 2 legged critters enjoying each others' company. My Mom and her 11 siblings were born and raised in Port Gamble! My Grandfather worked for the Mill. My Grandfather used to run the movie theatre (above the Post Office) and my Mom and Aunt remember taking dance lessons and dancing on the stage of the old theatre. It is a beautiful town! Thanks for sharing this. 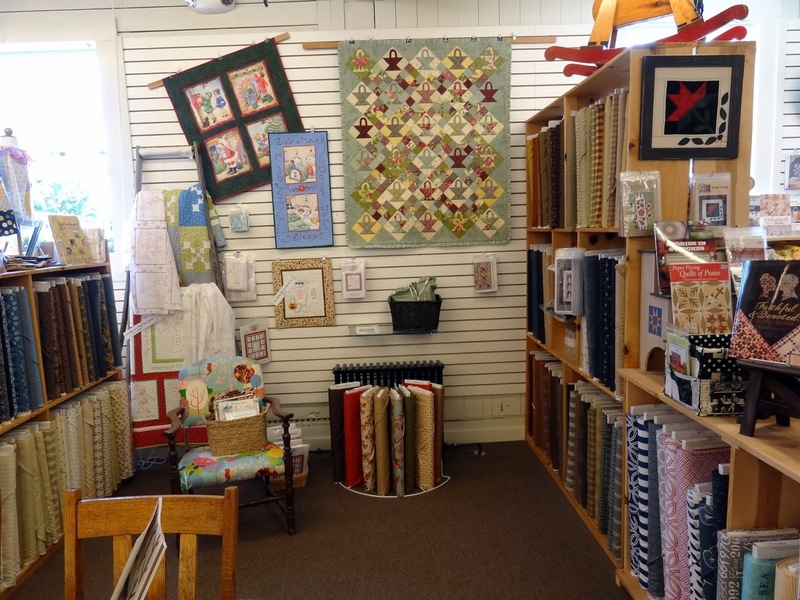 What a fabulous quilt shop - love the name! You could spend hours there. Gracie May has it made...a great life! Oh, what a lovely little shop! I'm sure you had fun in there :-) Gracie May certainly looks like she is enjoying herself. 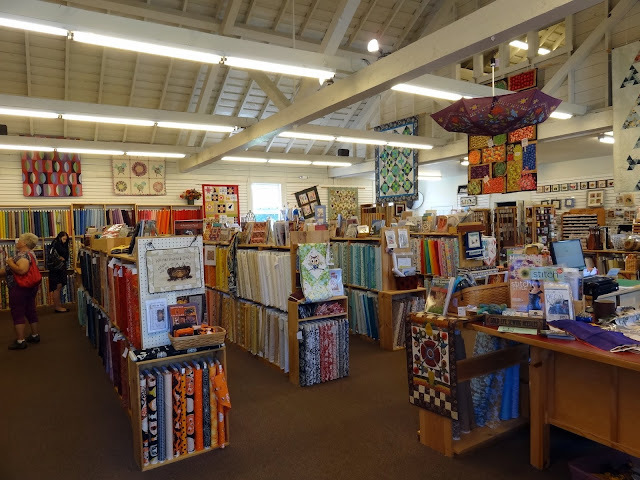 Oh, my word, what a wonderful quilt shop. I'd be in heaven there. And that shot of Miss Gracie Mae!!! That looks like an awesome shop. I'm going to have to visit the Quilted Strait on one of our road trips... Soon. I love the umbrella hanging from the ceiling. That shop looks like a dream come true! Too bad it's such a long walk from here. Oh my word, I think I really, really NEED to visit that shop. It really seems to have something for everyone. Just drop me off in the wool and CW aisles and I'll meet you at the checkout in a couple of hours. What a pretty shop. I definitely cold help the local economy there as well!! Wonderful shot of Gracie May. Yep, I think she's fit in quite nicely! 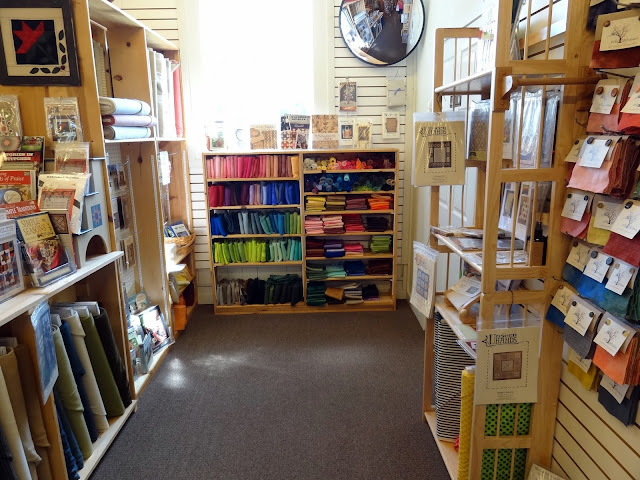 That looks like a fun shop, now show us what made its way home with you! 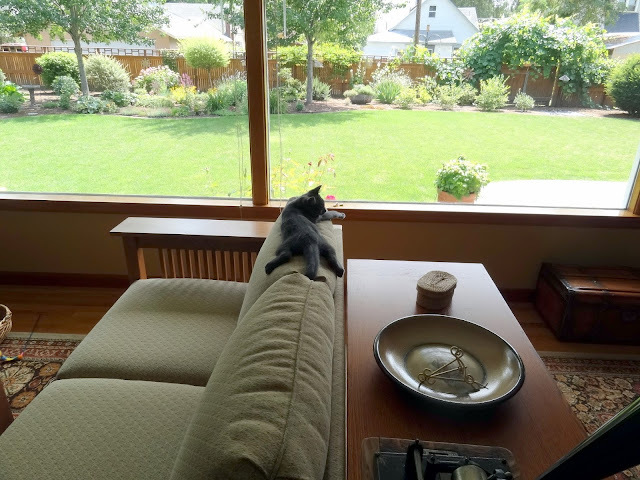 Love the picture of Gracie - she has a great view! Our Kids go to Port Gamble every summer for civil war re-enacting and I've always wanted to go. Now I need to go and see that quilt shop. Gracie May looks so comfortable, I'd say she's home to stay. Hugs!! Looks like a quilt shop that everyone would like. What a wonderful place to stop on your trip! Thank you for tour of the shop, Candace! So many choices and beautiful display of everything! Don't usually leave comments but wanted to say how much I love your blog and seeing your wonderful home and garden! That view from those big windows in your living room is amazing!! I am going to have a quilt block one day too. Love that photo of Gracie May. so cute with her legs sprawled out while enjoying the view. Quilted Strait is a beautiful quiltshop. I was there last fall and will be returning in September. Sounds like you had a lovely trip. Just catching up on blog reading and boy am I glad...What a fantastic shop! 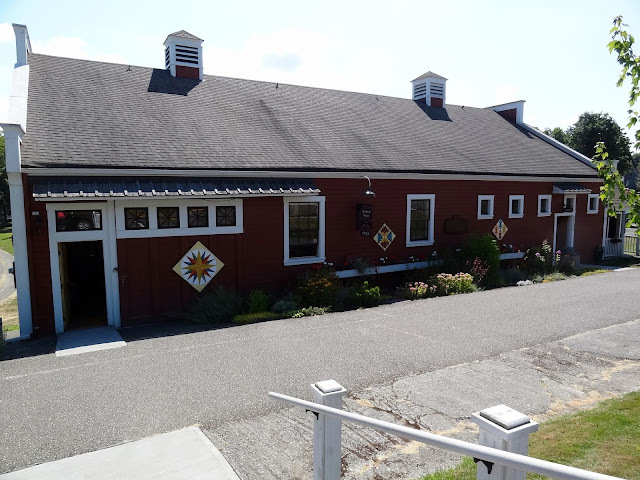 I am definitely going to add Port Gamble to my list of places to visit!!! 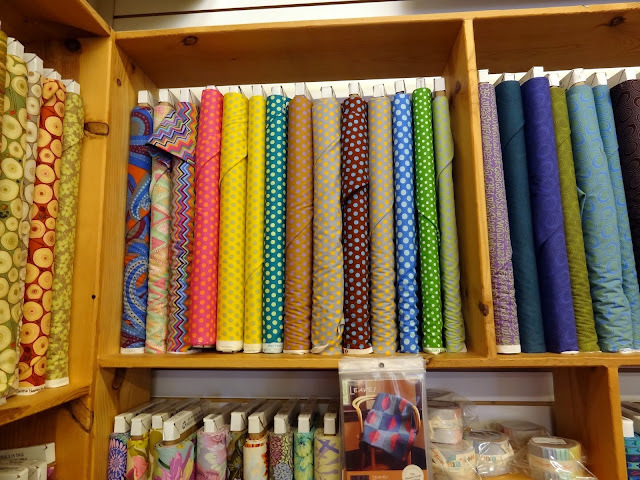 What a lovely bright and interesting shop! I'm sure I wouldn't have been able to resist some of those lovelies either.